Along with the Kyoto Prefectural University of Medicine, we are pleased to announce the 13th International Conference "Functional and Medical Foods with Bioactive Compounds: Science and Practical Application". This will be held at Kyoto Prefectural University of Medicine in Kyoto, Japan. The conference will bring together experts in medicine, biology, and the food industry to discuss the contribution of functional/medical foods and bioactive compounds in the prevention and management of chronic diseases. Research and Development of Functional and Medical Food Products. Call for Abstracts: We are still accepting Abstracts for the upcoming conference. Due to a high volumn of requests, we have extended the submission deadline to March 4th, 2013. However, space is limited so don't wait - submit your abstracts today! The entire abstract should have a maximum of 650 words; up to three pages. There is no up front fee for submitting a conference abstract. An abstract must be submitted knowing that the submission fee will be deducted from your conference registration payment. Within a week of abstract acceptance, authors should pay the publication fee of $49 or finish registration with the payment of conference registration fee. If authors fail to pay within 7 days of their abstract acceptance, they will be required to pay an extra $49. First authors are expected to register, pay the conference fee, and present the paper if their submission is accepted by the conference committee. The abstract publication fee without a conference registration is $99.00. Decisions on selection will be communicated to the authors via email. All contributions will be reviewed and accepted abstracts will be published in the conference proceedings book. Please submit all abstracts electronically by email at ffc_usa@sbcglobal.net, in an attached file. See also our sample abstract. There is no charge for withdrawal of an abstract. In the case the first author cannot attend the conference and present, he or she must contact the conference organizing committee by email at ffc_usa@sbcglobal.net, to provide notification of withdrawal or to request a substitute presenter. Withdrawals must be received before the March 4th, 2013. Please note: abstracts withdrawn after January 21 will be published and the first author will be expected to pay the abstract publication fee. The conference does provides neither financial support nor registration fee waivers for presentations. To avoid the last-minute rush, submit your abstract in advance. Abstracts reaching the Conference Organizing Committee after March 4th, 2013, at 5 pm, will not be accepted. For any information concerning publications, please contact us at ffc_usa@sbcglobal.net. For more information about abstract submission, please click here. Instructions for Poster Presentation: Conference Poster Presentations: Poster presentations give the audience a clear visual of what the presenter is saying in a simple format. The reasonable size for posters is 2.5 – 3.0 feet high by 3.5 - 4.0 feet wide. The poster should clearly present the title, the author(s), affiliation(s), and a description of the research along with highlighting the abstract's major elements. At least 50% of the surface area should be used for photos, graphs, or diagrams. Good use of color, and use of black or dark blue for text. Too much color can be hard to read! One or two large high quality photographs attract attention. Make it the title large and clear! Include author(s) name(s) and address(es). Your poster title should be easily readable 3-4 meters away. We recommend the following sections on the poster: Abstract, Introduction, Methods, Tables, Figures, Results, and Conclusions. For more information about poster sessions, please click here. Registration Fees: The registration fee will cover the Conference Proceedings book (Abstracts), lunch box, and Banquet on May 11, 2013. It will also cover a 6 month membership to the Academic Society for Functional Foods and Bioactive Compounds. *Free transportation from the hotel to the university is not avalable. Cancellation Policy: Two months before conference: 75% refund, 45 days before conference: 50% refund, one month before conference: No refund. Refunds will be sent after the conference. Notice of cancellation of registration must be received in writing to the Conference Secretariat at ffc_usa@sbcglobal.net. Early registration deadline: January 21, 2013. Please note: space at this conference is limited and will be allocated on a first come, first served basis. Hotel Granvia Kyoto (Conference Banquet site) is convenient, but relatively expensive. The rates of Kyoto Royal Hotel, Kyoto Kokusai Hotel, Hotel Keihan Kyoto, Hotel Hokke Club, Hotel Monterey Kyoto, and New Miyako Hotel, are reasonable. Reservation for these Hotels is available at discounted rates through the website, http://hotelscombined.com/, where you can compare the rates of these Hotels and get more information. For more information about the the conference, please contact us by email at ffc_usa@sbcglobal.net. For international calls, please use (1)-469-441-8272. An international scientific conference, “13th International Conference of FFC - First International Symposium of ASFFBC: Functional and Medical Foods with Bioactive Compounds: Science and Practical Application", was held May 11-12th, 2013 in Kyoto Japan. This annual conference was organized by Kyoto Prefectural University, the Academic Society for Functional Foods and Bioactive Compounds and the Functional Food Center, and hosted at Kyoto Prefectural University (Kyoto, Japan). The conference brought together experts in medicine, biology and the food industry to discuss the contribution of functional/medical foods and bioactive compounds in the prevention and management of chronic diseases. The best experts in the field of functional foods from all over the world gathered to discuss the power bioactive compounds within functional foods and their potential benefit to patients and consumers alike. Research was presented as results of pre-clinical studies of bioactive compounds, clinical results of clinical studies and the research and development of new functional food products. The 13th International Conference covered four sessions as well as three symposiums. The researchers, scientists, and medical professionals who made oral presentations covered session topics involving functional and medical food ingredients and their potential benefits in public health and the management of chronic diseases, such as obesity, diabetes, CVD, and cancer. They also discussed current research and development of functional and medical food products. The three symposiums covered topics examining carotenoids and flavonoids as a source of functional and medical foods, as well as protein quality control systems and food factors. We would like to make special note and mention a few of the many interesting, informative and well-communicated presentations that took place at the 13th International Conference this year. The conference opened with a congratulatory speech made by Dr. Hoyoku Nishino of Kyoto Prefectural University and Dr. Danik Martirosyan, president of Functional Food Center of Dallas, Texas, USA. Dr. Danik M. Martirosyan, the Founder of Functional Food Center Inc., conducted a presentation entitled “Steps for Bringing Functional Foods to Market”. This presentation reviewed the 7 steps suggested by IFT (Institute of Food Technologists) to the FDA (Food and Drug Administration), as well as the obstacles involved in bringing a functional food to the market. Dr. Martirosyan also discussed the current functional food projects, involving Amaranth Oil and Rose Hip, which are currently being conducted at Functional Food Center jointly with UT Southwestern Medical Center in Dallas, Texas, USA. Dr. Hoyoku Nishino presented a lecture entitled “Prevention of lifestyle related diseases by food factors”. This presentation covered various food factors, such as carotenoids, flavonoids, lactoferrin, and myo-Inositol, their health promotion and potential ability to prevent lifestyle-related diseases. In conclusion to Dr. Nishino’s discoveries, he found that development of functional foods seems to be possible by combinational use of active food factors. Dr. Thomai Panagiotou, Chief Technology Officer at Microfluidics International Corporation in Newton, Massachusetts, United States, presented “Producing micron- and nano- size formulations for functional foods applications”. This investigation discussed the development methodologies in terms of both platform technologies and respective operational maps, for production of functional food formulations, with particle sizes in the micron-and nano-scale range. Dr. Panagiotou's results demonstrated that stable nano-emulsions of fish oil and suspensions of submicron curcumin crystals can be produced using “top down” and “bottom up” methods. The properties of the formulation in terms of particle size and stability strongly depend on the processing parameters used in terms of energy input and temperature history. Also, the energy requirements of the “bottom up” methods may be substantially lower than those of “top down” methods. Dr. Shiming Li, professor at Rutgers University in New Jersey, USA and Michiko Suzawa, director of Miyauchi Citrus Research Center, Ltd. in Japan, conducted a presentation entitled “Inhibitory effect of a formulated extract from multiple citrus peels on inflammation, tumor genesis and tumor growth in mice”. The purpose of their investigation was to explore the biological activities of polymethoxyflavones in citrus peels. Their findings suggested that Formulated CPE suppressed the inflammation in vitro and in vivo, and may exert chemo-preventive activity through the inhibition of inflammation, oxidative stress and TPA-mediated promotion of DMBA-induced skin cancer in mouse model. Formulated CPE is a novel functional natural product capable of preventing inflammation-associated tumor genesis. Dr. Eric Marchioni, professor at the University of Strasbourg in Illkirch, France, presented his investigation regarding chromatographic online detection of bioactives in foods. Dr. Marchioni and his researcher wished to implement a chromatographic method able to separate the molecular content of a bioactive fraction of a food. Their study demonstrated that it is possible to screen at the molecular level, the bioactivity of numerous natural samples and to point out the richness of the local biodiversity in terms of natural resource of functional food ingredients usable for their potential benefits in consumer health, wellbeing and well-aging. Paolo Pontoniere, Vice President of Creagri Inc. in Hayward, California, USA, presented his research on the neuroprotective effect of Hidrox, which is a patented Hydroxytyrosol rich formulation derived from the vegetation water of organic olives. Paolo Pantoniere and his team of researcher’s investigation confirmed a potential role for Hidrox® in the management of broad ranging neuroinflammatory manifestations, as well as of neurodegenerative processes, such as Parkinson’s, Alzheimer’s disease, and Multiple Sclerosis. Hidrox®’s ability to attenuate chemotherapeutic toxicity was also verified, confirming that Hidrox®, a product derived from hydrolyzed organic olive milling water, can be considered an effective ingredient for the development of therapeutic strategies that prevent neurotoxicity linked to inflammation without compromising its neuroprotective role. Dr. Elizabeth Johnson, professor at the Carotenoids and Health Laboratory at Jean Mayer USDA Human Nutrition Research Center on Aging at Tufts University in Boston, Massachusetts, USA, and chair of session number one (Functional and Medical Food Ingredients: Sources and Potential Benefits in Public Health), studied the relationship between lutein and docosahexaenoic acid status and age-related cognitive function. Her study’s results indicated an association of lutein or DHA with cognition, that their association are dependent on each other. However, their effect was less than expected, if the two were added together. In conclusion, mechanistic studies on lutein and DHA in the brain are needed to further characterize the relationship between these two nutrients. Dr. Francesco Saverio Mennini, professor at the University of Rome in Italy, conducted a presentation entitled “Cost-effectiveness analysis for the treatment of chronic kidney disease with low-protein diet”. The objective in his study was to estimate the cost-effectiveness of a low protein diet treatment compared with no dietary treatment in patients with CKD 4-5 after 2, 3, 5 and 10 years. Dr. Mennini’s results showed that the treatment of a low-protein diet is more effective in terms of QALYs: the difference is always in favor of dietary treatment from a 0.08 after the first two years, 0.15 after three years, 0.34 after five years and up to a differential of 0.95 year after the first 10 years of treatment. That being said, the dietary treatment is always dominant in all the intervals considered. The dominance is due to the fact that the treatment is more effective in terms of QALYs and at the same time is less expensive. 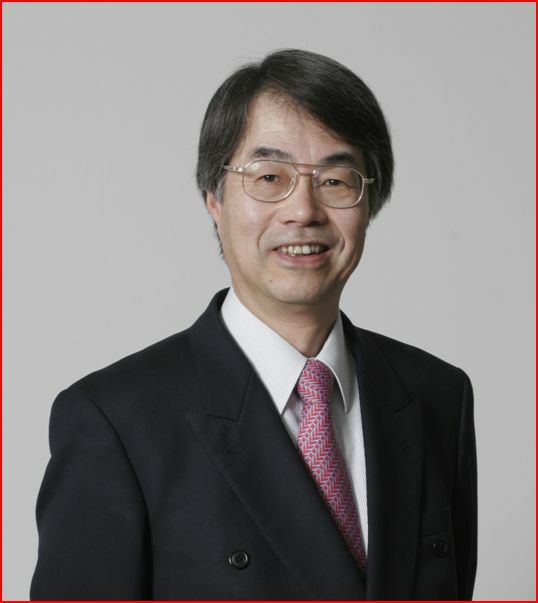 Dr. Eiji Yamashita, affiliated with AstaReal Co. Ltd, in Tokyo, Japan, and chair of session number one (Functional and Medical Food Ingredients: Sources and Potential Benefits in Public Health), conducted research regarding Astaxanthin as a medical food. Dr. Yamashita wanted to understand the progress of practical application of Astaxanthin, and the history of industrial application of natural Astaxanthin. His study concluded that a practical application of Astaxanthin from Haematococcus will expand into medical institution worldwide not only into the consumer space. We may call Astaxanthin a medical food at the moment. Dr. Christophe Lefevre, professor at Deakin University’s School of Medicine in Waurn Ponds,VIC, Australia, made a presentation entitled “Comparative analysis of milk miRNA to identify novel functionalities in milk”. His study compared the miRNA composition of milk and its change during the course of lactation in a full range of mammals, in order to identify temporally conserved or specific milk miRNA secretion patterns, possibly associated with common or adapted temporal functionalities of milk miRNA. His results demonstrated how comparative milk miRNAs profiling can assist the functional analysis of milk miRNA in lactation. They also suggest novel uses of milk miRNAs as informative markers of lactation status and maternal physiology, as well as information carrying signals facilitating the timely delivery of maternal development signals to the young. Dr. Ahmed F El Fouhil, professor at the College of Medicine at King Saud University in Saudi Arabia conducted a study and presentation entitled “An extract from date seeds stimulates endogenous insulin secretion in type 1 diabetic rats”. This study investigated the mechanism by which date seed extract exerts its hypoglycemic effect by estimation of C-peptide levels in serum of type 1 diabetic rats treated with date seed extract. Dr. Fouhil found that biochemical results suggested an increase in endogenous insulin secretion in case of type 1 diabetic rats treated with seed extract which might be the cause of its hypoglycemic effect. We successfully gathered medical doctors, scientists, clinical nutritionists, herbal professionals, and food industry representatives. Among attendees were researchers, students, dietitians, nutritionists and many others. An abstract book was composed by 151 groups of authors from the following countries: Japan, Germany, Australia, France, Denmark, UK, USA, China, Hong Kong, Hungaria, India, Indonesia, Iran, Italy, Izmir, Japan, Kenya, Kuwait, Malaysia, Pakistan, Peru, Poland, Republic of Korea, Russia, Saudi Arabia, South Africa, Sri Lanka, Taiwan, Thailand, Turkey, UAE, UK, USA and more. The book Functional Foods for Chronic Diseases Volume 13, including presentations from the 13th international conference, is now published and available for purchase. Co-chairman: Dr. Danik M. Martirosyan, PhD, UT Southwestern Medical Center; Founder, Academic Society of Functional Foods and Bioactive Compounds; President, Functional Food Center, Inc.; Editor-In-Chief, The Jounal of Functional Foods in Health and Disease. We are pleased to announce the 13th International Conference of Functional Foods. It will be held from the 11th to the 12th of May, 2013 in Kyoto, an old capital of Japan. The term "functional foods" originated in Japan. Research and development of functional foods is a very interesting field, but success is difficult. In fact, legitimate functional food products are scarce in the market here in Japan, or anywhere in the world. Nevertheless, it is still important to continue the valuable research in this field. Research on bioactive compounds in common foods is especially important, because these results provide guidelines to incorporate healthy foods in our daily diet. Successful study and production of medical foods is a little bit easier, since medicinal treatment is historically well accepted and is a widespread tradition. In fact, the term "Yaku-Shoku Doh-Gen" (which means the root of Medicine and Food is the same) is very popular in Asian countries, including Japan. It then seems very fitting that the first international conference in this series held outside the United States should take place in Japan. In this conference, we will discuss Functional and Medical Foods from various points of view. On behalf of the Organizing Committee of the 13th International Conference of Functional Foods, I cordially invite everyone interested in the field of Functional and Medical Foods to take part in this event, and to reserve extra time for enjoying the charming atmosphere of old Kyoto. We invite you to experience its numerous historical monuments and interesting surroundings during the best season of the year. I am looking forward to seeing each of you in Kyoto.